So last night I was taking off my New Year's Eve franken and I noticed that my middle finger on my left hand had a huge crack in it! The nail was going to break any minute! With a heavy heart, I went and cut them down. Then I filed them to get rid of the possibility of splits. Alas, I am not a good filer, and so my shapes are strange now. And I miss the square, so I may try to fix it tonight. I ordered Barielle Elle's Spell when Barielle had a promotion going on. 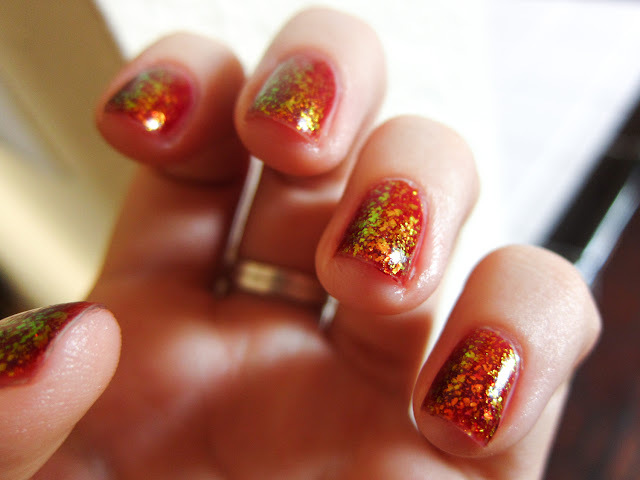 It's a red jelly polish with fiery orange flakies in it. 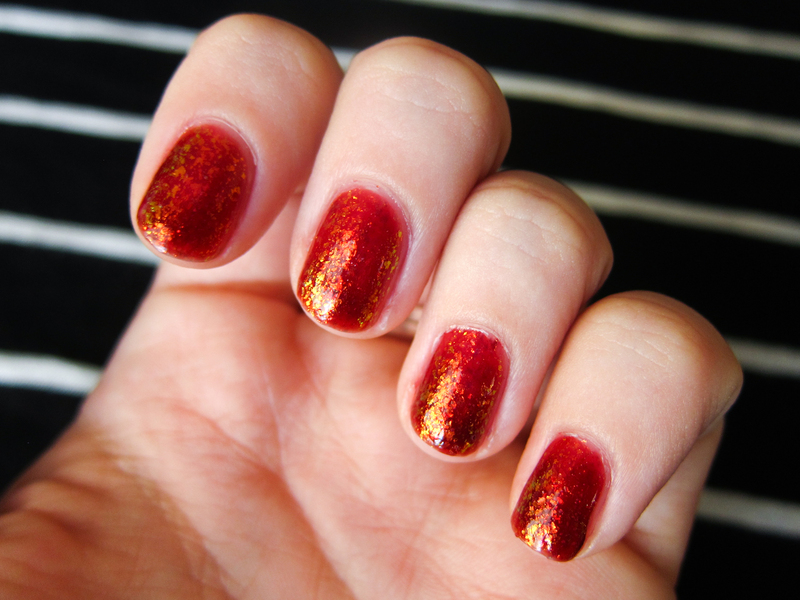 I wanted to amp up the flakie-age, so I added two extra coats of Nubar 2010. BAM. The cool thing about Nubar 2010 is that it looks green at certain angles. I tried to show you all that in the second photo. SOO prettty! I can't wait for you to swatch your new Nfu Oh!! WOW! That second photo is AWESOME!